Took this 1.5 year doe in southern IL, Nov 8 at 6:30 AM. Everything went like it's supposed to, which doesn't often happen to me. Still basking in the moment. PBS raffle winner Toelke Whip HS, 62" and 50 lb @ 26"; Surewood Fir self made arrow and KME sharpened 200 gr Grizzly Kodiak broadhead. Way to go Fletcher! Congrats on a fine trophy! out standing.. I have a BW that I won at the Colo Bowhunter Asso. That bow also has good MOJO. Yes sir! Getting it done brother. Vension for the family. Congrats. Congratulations Fletcher! 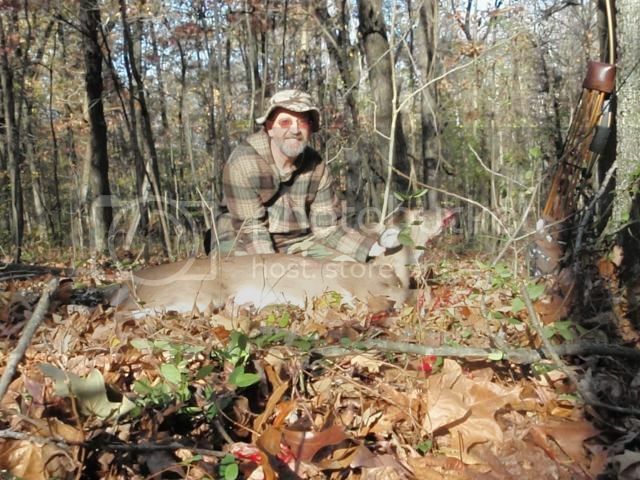 That's a terrific looking deer, and that Toelke is a fine looking bow. 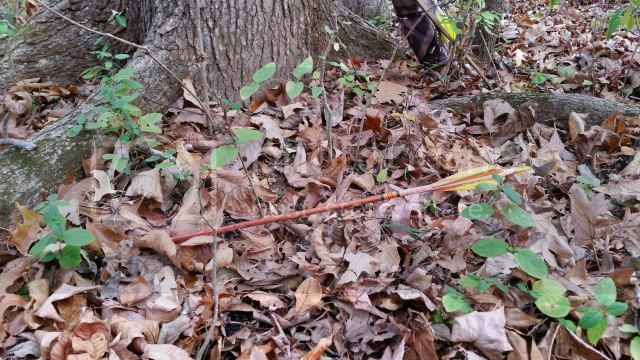 I love that heightened confidence of hunting with a bow that you've had success with! Way to go. I'm partial to Southern Illinois myself! Congrats.